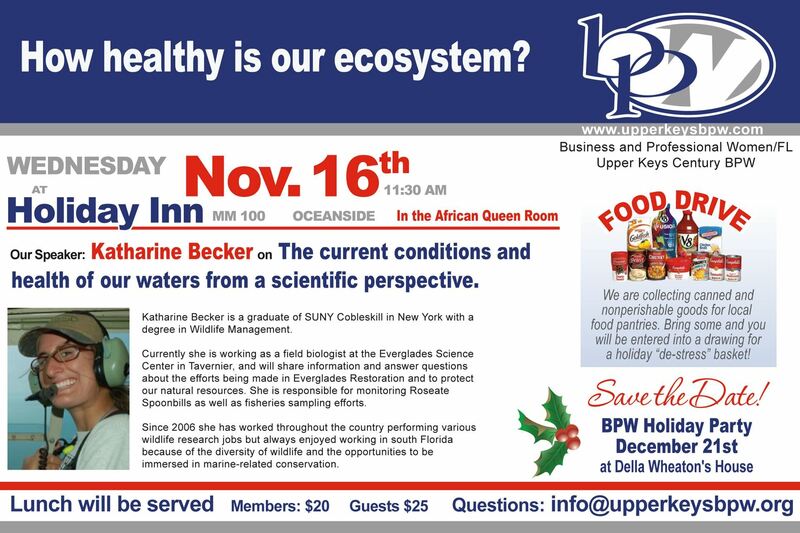 Join us this month as we welcome Katharine Becker of the Everglades Science Center in Tavernier. She will be sharing valuable information regarding the efforts being made in Everglades Restoration. We will also be giving away a "destressing basket" as a raffle prize for those of you who donate canned goods and non-perishable items for the food pantry.